We know there’s a lot of pressure when creating an escape room from scratch. Where do you even begin? Well, you need not give in to the pressure. Look no further. 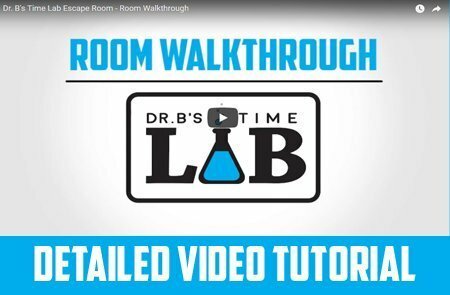 Dr. B’s Time Lab Escape Room is a complete escape room resource. We’ve done all the work for you. All you need to do from here is buy some props (all detailed in the resource) and set it all up. 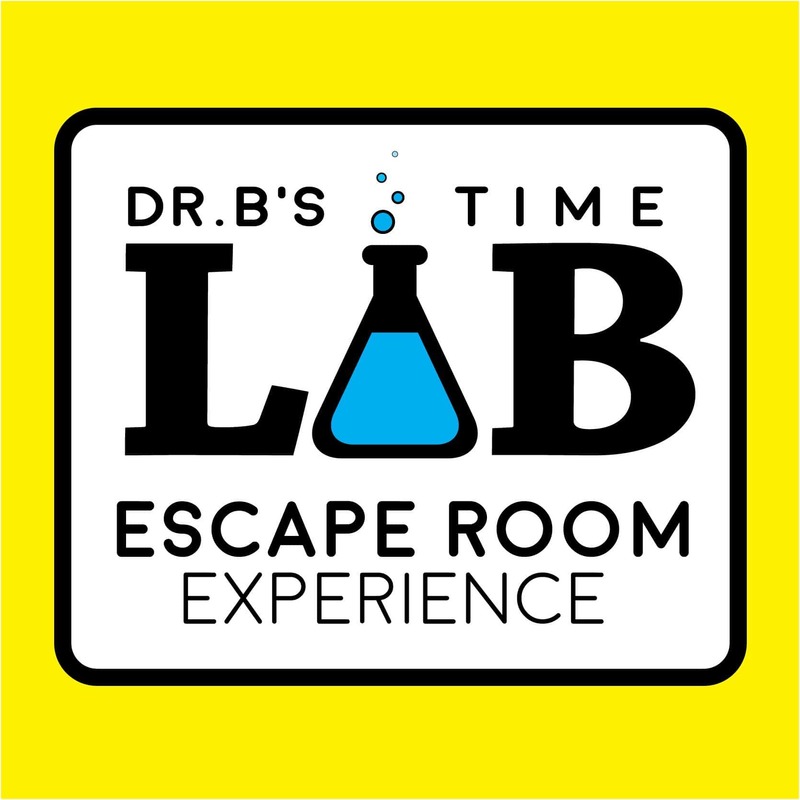 We know your campers will love this escape room experience. Have you been wanting to add an escape room to camp, but just don’t know where to start? Well you don’t have to dream it all up, we’ve done that for you. Check out Dr. B’s Time Lab Escape Room! We have been running this escape room for 2 years at Camp Mt. Lou San and it is a favorite at summer camp, as well as adult retreats here at camp. This package is a complete game setup that is appropriate for all people ages 7+. The room is setup for an hour, however it may be accomplished in 45 minutes with help from an instructor/facilitator. Suggested group size is 5-8. Dr. Beakerman is a mad scientist that has been working for months on discovering actual time travel. He has discovered a highly unstable substance called “Mysterium X” which may be a help in discovering time travel. But something has gone wrong and there is a tear in the Time continuum. Dr. Beakerman has hidden the “Mysterium X” in a secure location so it doesn’t fall into the wrong hands. You are a member of an elite time travel agency that has been called in to help right the rift in the Time continuum. But you have to prove you are truly a scientist, by solving the puzzles and finding the “Mysterium X.” Time as we know it depends on you! 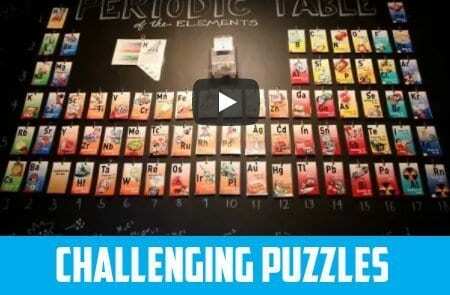 This theme is built around the periodic table of elements, but players do not have to have any knowledge of the Table or science in general to be successful. There are lots of puzzles to solve, so the group can divide up and work on several things at once. 3. Several PDF documents detailing all the PRINTABLE puzzles. Your groups will love this room! It is very accessible and packed full of puzzles. Mt. Lou San is your one-stop shop for unique program resources, specializing in unique games for multiple group sizes, escape room resources, and team building experiences. No matter what shape or size, your camp will benefit from these resources.